Last week we attended and exhibited at VMworld 2014 in San Francisco, VMware’s annual conference that brings together over 25,000 thought leaders, subject matter experts, technology providers and IT professionals to immerse themselves in the latest in virtualization and cloud technology. VMworld is now essentially the modern-day COMDEX, spread out among the sprawling Moscone Center. The difference is that VMworld’s exclusive focus is the enterprise, and more specifically the modern and trending IT enterprise. VMworld is where the forward thinking enterprise CIOs are now, and where everyone else will be in the next 2-4 years. In the opening keynote, VMware CEO Pat Gelsinger — who recently explained to the Wall Street Journal that “we are in the period of the greatest tectonic shift in the IT industry in the last 30 years” — emphasized the trend of “frictionless IT” running the enterprise where “everything is virtualized” utilizing a hybrid mix of on-premise virtualization, public and private cloud. Frictionless IT involves a model where pools of virtual machines — comprising virtual desktops and servers running in either the public cloud or a private cloud — are managed by IT administrators enterprise-wide from a single console, without physically touching any hardware. This allows for virtual desktops, servers and supporting applications and software upgrades to be rolled out and managed on a highly automated basis, including having resources moved from private to public clouds and back again, all with a few mouse clicks. So given the importance of this conference to the present and future of enterprise IT, it was highly notable that X1 was the only enterprise search provider present among more than 400 exhibitors. It is actually surprising that no other search vendors were here given how quickly attendees ‘got it.’ They understood that search is the elephant in the room for VDI and other enterprise-stored data and quickly responded positively to X1’s message. The reason for our competitors’ absence, in my opinion, is that nearly all the current enterprise search software vendors, as well as eDiscovery tools, represent legacy technology that does not support deployment into highly virtualized environments. Traditional enterprise search solutions are limited to either appliances or arduous manual on-site installations, neither of which can operate in true virtual environments. In other words, they represent a very high degree of friction, with entrenched architectures that must be completely re-written in order to support virtualization and the new frictionless IT paradigm. And the thing about truly supporting cloud and on-premise virtualization is that enterprise software vendors cannot fake it with enterprise CIOs and their staff. For instance, there is a high degree of “cloud-washing” in eDiscovery, where vendors host their own attorney review systems on a SaaS basis, and thereby claim they are cloud innovators. And while there is a legitimate but limited use case there, a complete process baked into the enterprise and its information management DNA needs to encompass integrated preservation, collection and early data assessment — including first pass review. Such an eDiscovery system must be on premise and will not survive unless it truly operates in a virtualized environment, whether in the public or private cloud. Solutions that truly support virtualization are VMware-ready certified, and can also be quickly and remotely installed into the public cloud through a readily available machine image, such as an Amazon Machine Image (AMI) for the Amazon Web Services cloud. In essence, major enterprise software now has to effectively install almost as easily as a mobile phone app. As an aside, another notable observation that I believe is highly indicative of this “tectonic shift” was the near complete absence of the major systems integrators, with the exception of Capgemini. Most of the other top 10 SIs were completely absent and the few others there had a very minimal presence. This is, again in my opinion, because most of these systems integrators thrive on a “friction” model (think nine-month enterprise software installation), and are struggling to adapt to the new world order. In our recent discussions with folks at Amazon Web Services, they recounted amusing stories of companies asking to send hardware appliances or teams of expensive consultants to AWS data centers to index and manage their data for enterprise search and eDiscovery purposes. Both scenarios are non-starters for public cloud architectures. This is where X1 is leading the charge for both enterprise search and eDiscovery. We are very excited about our partnership with VMware, and the hundreds of contacts and new and existing customers we connected with at the show. And more exciting things are to come. Stay tuned for exciting announcements in the coming months. 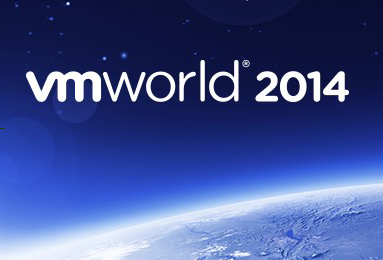 In the meantime, I recommend you start making plans for VMworld next year.